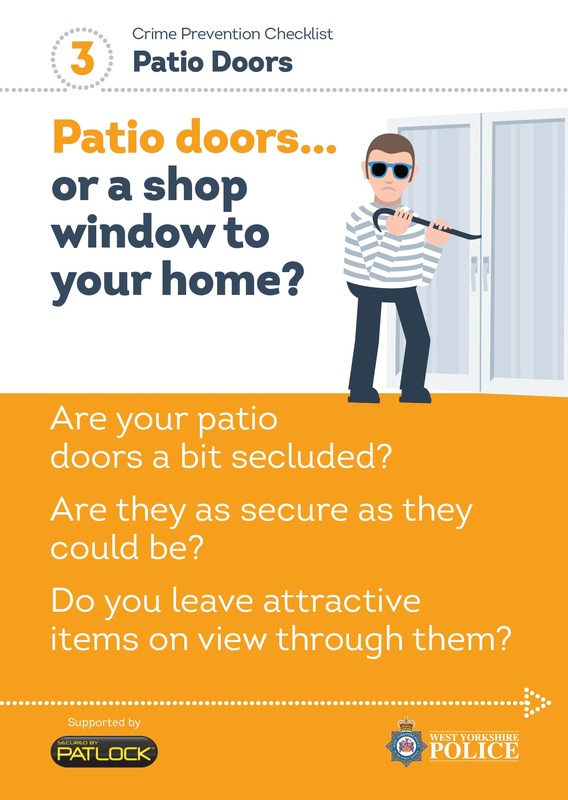 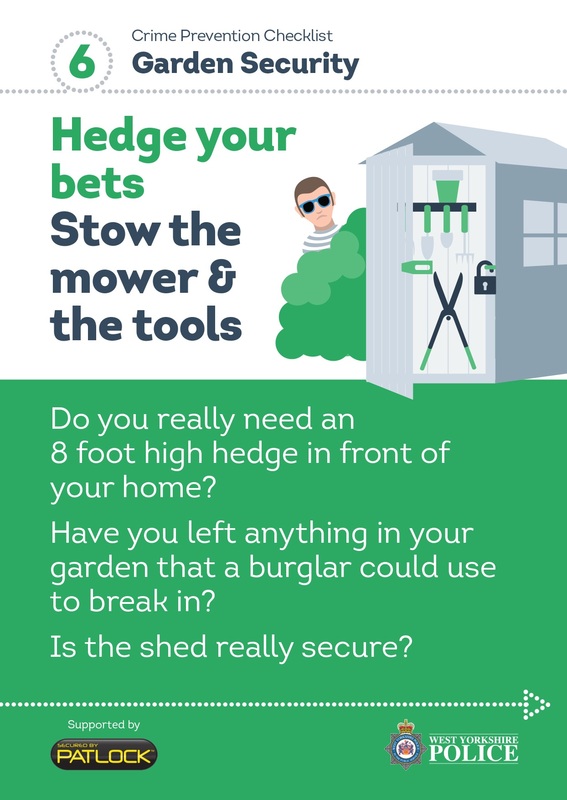 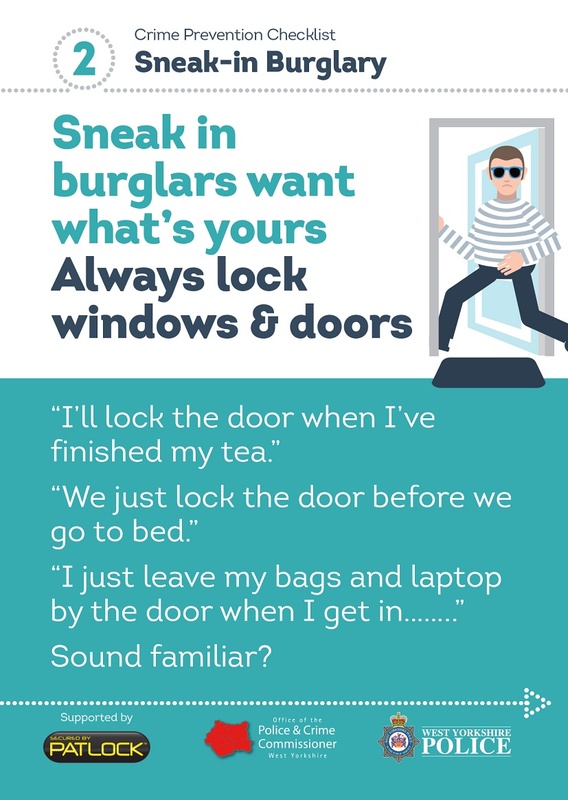 Burglaries often increase during the sunny weather, when burglars take advantage of doors and windows being left open. 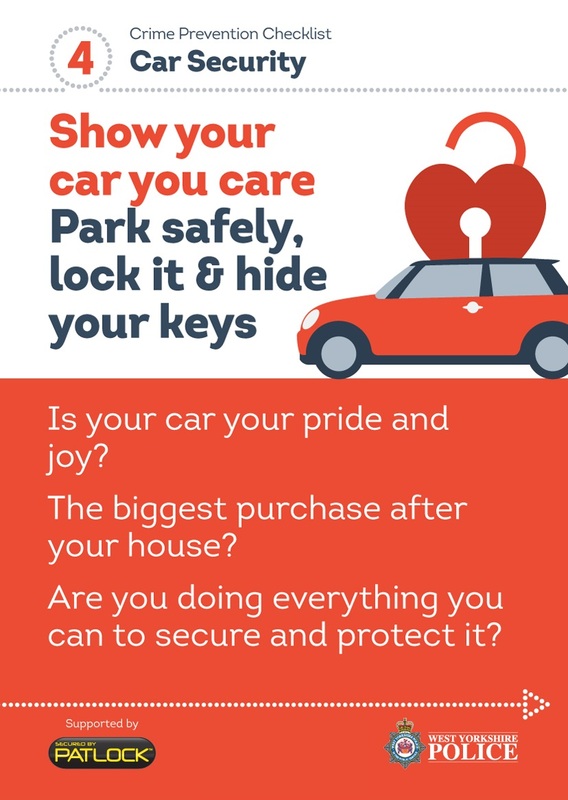 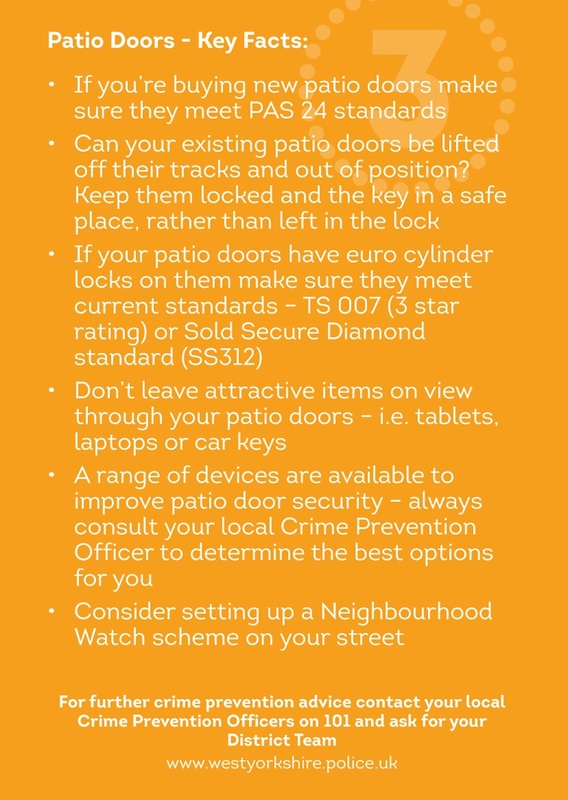 However, crime prevention doesn't have to cost a lot of money - taking simple measures such as locking your doors and windows, not leaving valuables on display and using your alarm can significantly reduce your chances of being a victim. 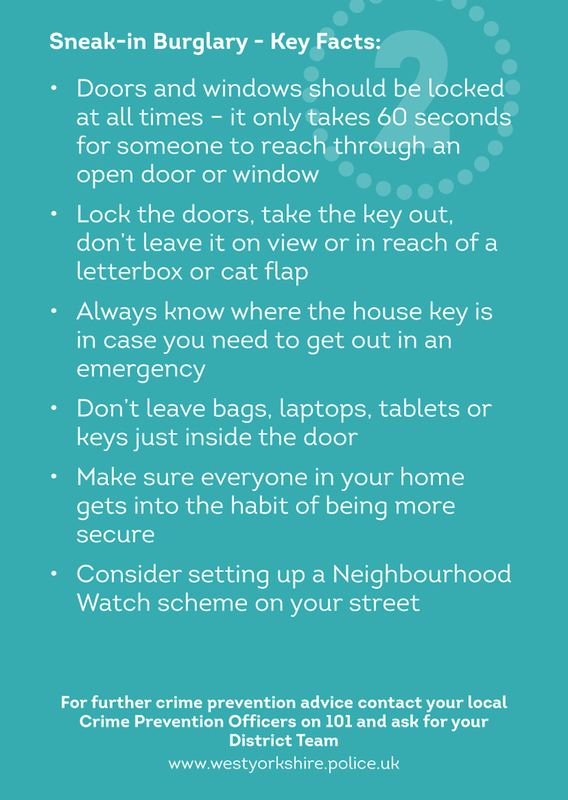 Always take the key out of the lock and keep it in a safe place - do not leave keys in reach of the letterbox, a cat flap, or on view through a window. 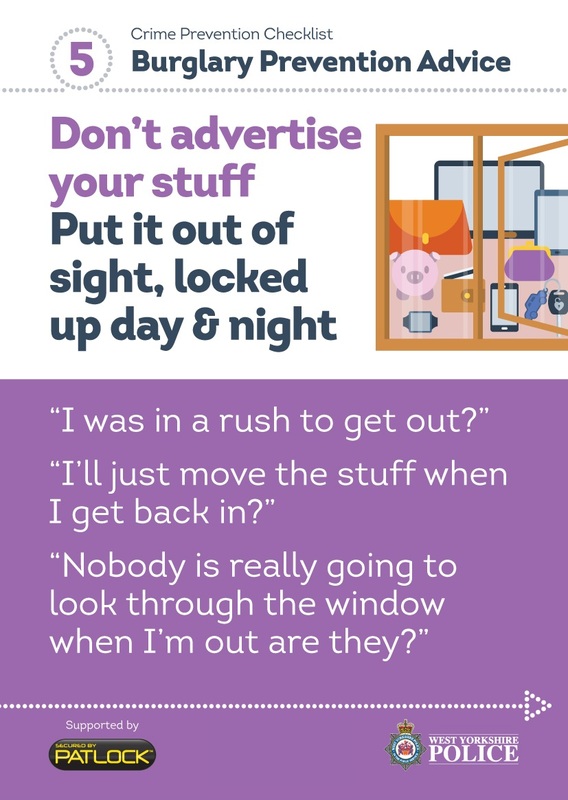 Make sure items such as car keys, laptops, tablets, phones and cash cannot be seen through a window. 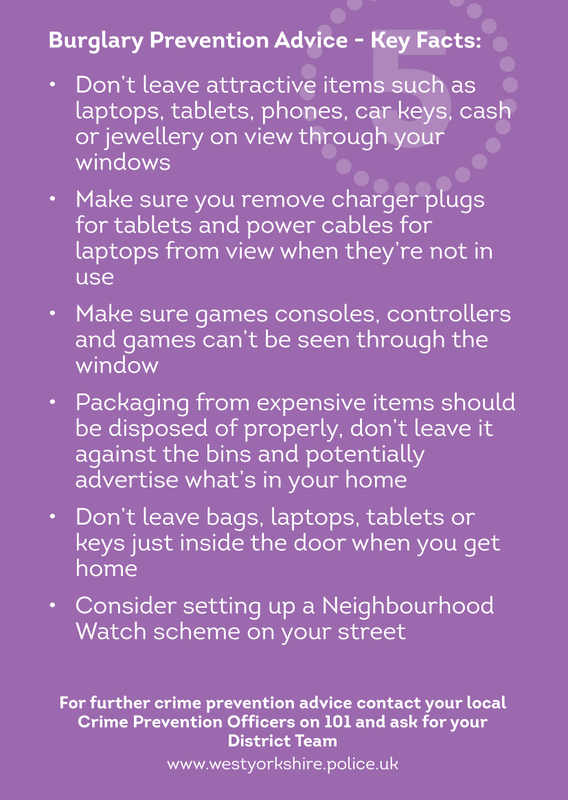 Do not leave power cables or charger units for laptops and tablets plugged in and on show. 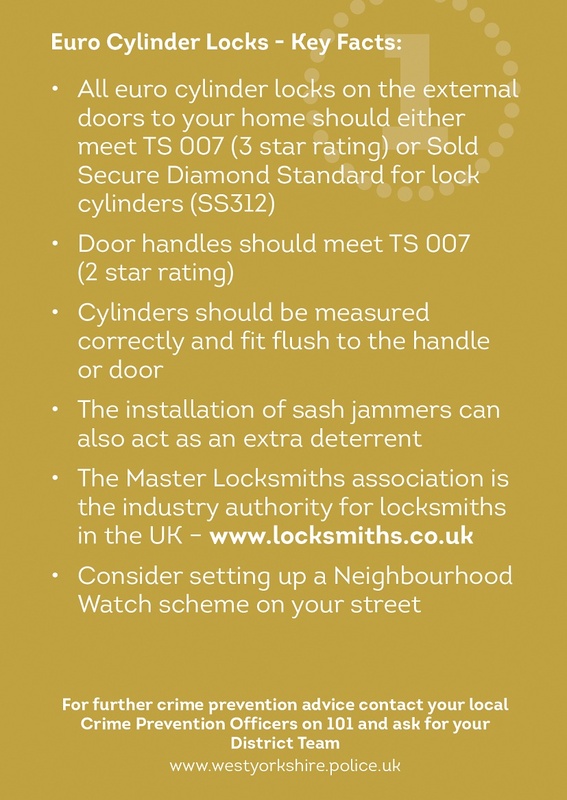 If you are out, try to make your home look occupied by using a timer switch to control lights. 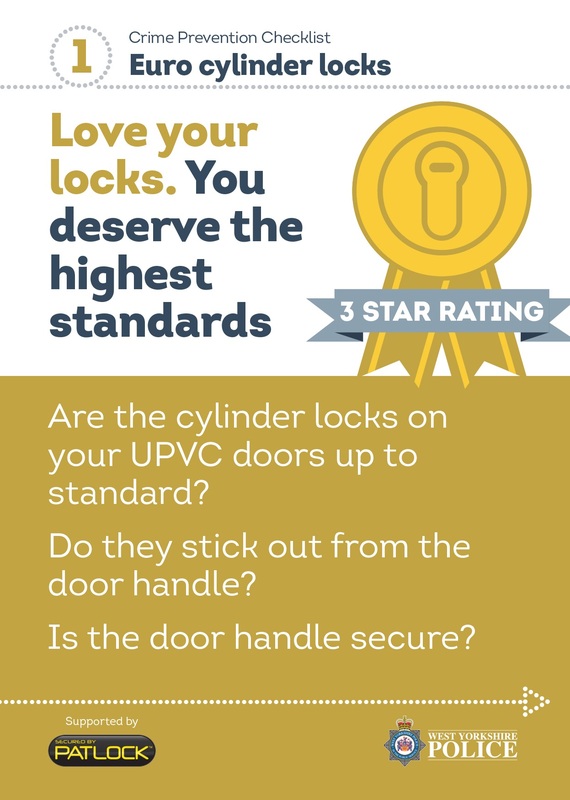 Make sure Euro cylinder locks have achieved - TS 007 (3 star rating) or Sold Secure Diamond Standard for lock cylinders (SS312). 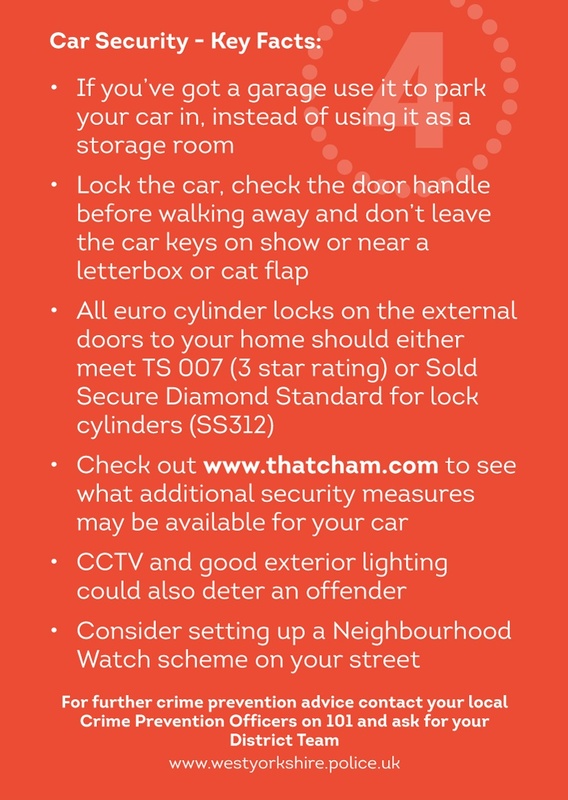 If you have a burglar alarm always remember to switch it on when you leave the house or when you go to bed. 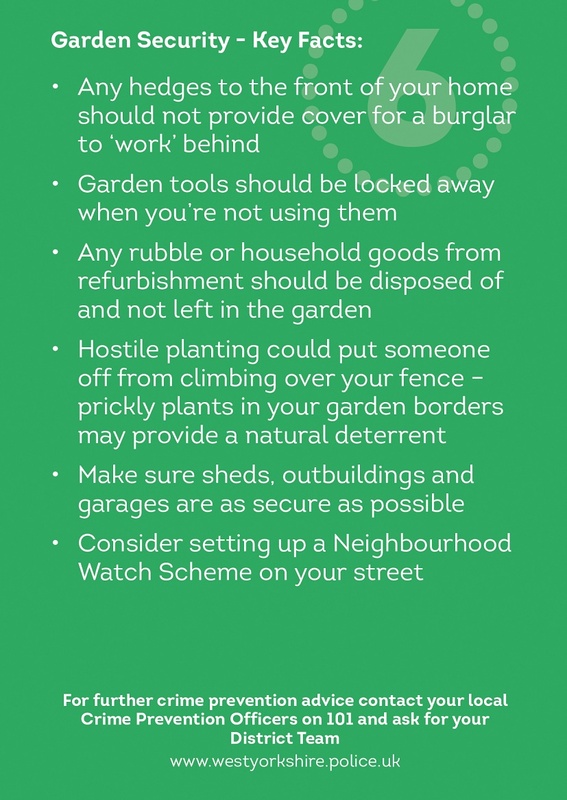 Why not start a Neighbourhood Watch Scheme in your area?